Now that the children have grown and left the stable, Christmas is much quieter. I no longer have to worry about buying the Christmas tree that will leave pine needles sprinkled like fairy dust along its path to the living room - the artificial tree works just fine. Or worry about the right presents to buy – cash seems to be the preference. The only worries this year are what to pack and how soon to leave for the airport. Because even though my wife has told me a winter vacation in Arizona would be cheating (you have to suffer through the winter), it is okay to spend four days in sunny San Diego visiting our children. I’m just thankful they aren’t going to school in Buffalo. Since there isn’t much to announce, now that Christmas has almost arrived, and a good joke is a gift that can keep on giving, I want to share this one sent to me by Virgil Choate. While so many jokes about “old” folks are stereotypical about the conditions many of us experience: loss of hearing, frailty, and something else I can’t remember, this one points out why you don’t want to mess with us “old” folks with our years of life experiences. You may have heard it before, but it is worth enjoying again. A lawyer and a senior are sitting next to each other on a long flight. The lawyer is thinking that seniors are so dumb that he could get one over on them easily. So, the lawyer asks if the senior would like to play a fun game. The senior is tired and just wants to take a nap, so he politely declines and tries to catch a few winks. The lawyer persists, saying that the game is a lot of fun. "I ask you a question, and if you don't know the answer, you pay me only $5.00. Then, you ask me one, and if I don't know the answer, I will pay you $500.00," he says. This catches the senior's attention and, to keep the lawyer quiet, he agrees to play the game with him. "The senior doesn't say a word, but reaches into his pocket, pulls out a five-dollar bill, and hands it to the lawyer. The lawyer uses his laptop to search all references and he can't find it on the Internet. He sends E-mails to all the smart friends he knows; and all to no avail. After an hour of searching, he finally gives up. He wakes the senior and hands him $500.00. The senior pockets the $500.00 and goes right back to sleep. The lawyer is going nuts now, not knowing the answer. He wakes the senior up again and asks, "Well, so what goes up a hill with three legs and comes down with four??" Were you able to identify the three missing consonants in last week’s Tuesday Night music announcement? They were the first three consonants of the alphabet. But this week, I am upping the ante and removing three random consonants. Can you identify them? Duing the holidays any activities at the Cente have been cancelled but not Tuesday Night usic, because soe folks just gotta dance. On Tuesday Decebe 30th, the Dufu Boys will be laying fro 7:00 – 9:00 .The doos oen at 6:00 and donations ae always aeciated. This week’s “Remember When” question is about a toy most all of us who grew up in the 50’s and 60’s played with. What was the name of the popular toy, invented in 1943, that can travel down a flight of stairs, end over end and land upright? E-mail your answer to mcseniorcenter@gmail.com, call 541-296-4788 or drop it off with a 1999 postage stamp that honored this toy. Well, it’s been another week, remembering to count my blessings before I go to sleep. Until we meet again, may all of you have a safe and joyous Christmas when we celebrate peace on earth and goodwill towards all people. I’m not fond of these winter doldrums in The Dalles: grey overcast skies with a few days of sunshine, just to tease us that better days are ahead. And although I may not like them, I find these gloomy days are necessary, because without them I wouldn’t really appreciate the warm t-shirt days with blue skies. And isn’t that the way it is in our daily lives? All the challenges and difficulties, the missteps and losses, remind us not to take for granted the simple joys and comforts we can experience every precious day. 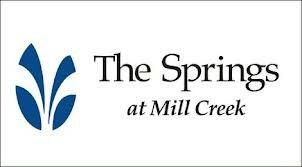 I’ve mentioned it once already, but in case you didn’t write it on your calendar, from 8:00 AM until 9:30 on Saturday, December 20th, is the Center’s December Breakfast sponsored by The Springs at Mill Creek. 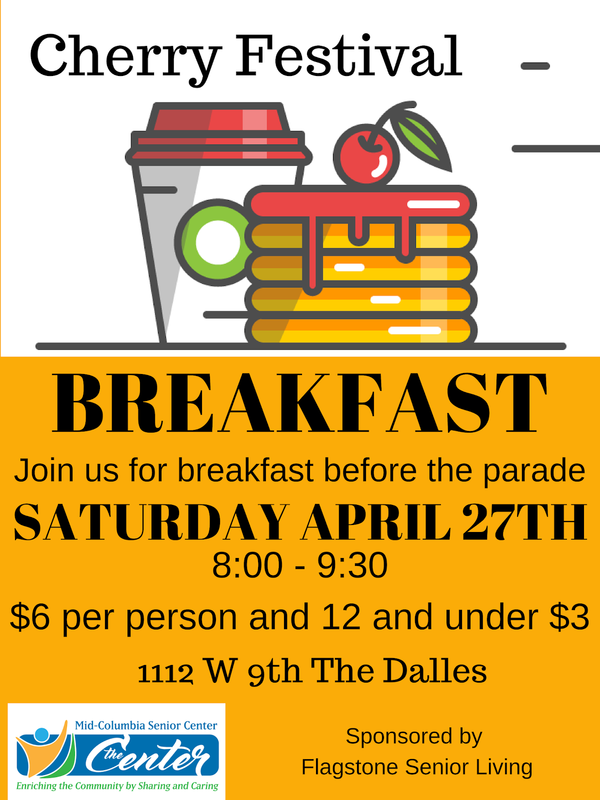 The menu includes pancakes, scrambled eggs, sausage, fruit and a hot beverage to keep you warm - all for $5.00 or $4.00 for Center members. Bring along some friends and meet some new ones. It will also be your last chance to purchase your tickets for the quilt, hand stitched by the Center quilters, that will be raffled off at 9:00 AM. If you enjoy homemade baked goodies, Meals-on-Wheels is having their annual Bake Sale on Thursday from 11:00 – 1:00. You can buy all kinds of tasty treats while helping the good work of Meals-on-Wheels. Although we may never know who Susan was or why she was so lazy, Meals-on-Wheels is looking for some Lazy Susans if you have one lying around the house (which would be expected of a Lazy Susan). With the new five foot round tables, the folks who eat regularly at the Center (they know where you can always find a good nutritious meal that is gentle on the pocketbook), found it difficult to pass the coffee and the other condiments. And being an industrious lot, they came up a solution: a Lazy Susan for each of the round tables. But there are 15 tables and so far only 2 Lazy Susans have been donated. So bring in a lazy Susan and enjoy a nice meal for a $3.75 donation if you have reached that magic age of sixty. The Center’s Loan Closet is used daily and depends on individual donations of medical equipment. Right now, we are generously supplied with rollators which is unusual. (I learned rollator is the correct name for the walkers that have the four wheels, a seat and hand brakes). We also have a supply of absorbent undergarments, (I was going to say for loan, but we don’t really want them back) as well as several hospital beds. But at this time, we are in need of shower seats and bed rails. Were you able to read last week’s music announcement without the vowels? It wasn’t easy, but this time I will keep the vowels but remove two consonants. See if you can tell which consonants are left out and what the announcement says. eause of the winter weather, it may e diffiult to get outside to ike, run or walk, ut you an always find a warm plae to dane. And on Tuesday nights that place is the enter where the Highline Express will e performing from 7:00 – 9:00 PM. The ost is only a donation to keep the musi playing and everyone is welome. Also on Sunday the 21st, the Jammers will take their turn playing at the enter from 2:00 – 5:00. Admission is free ut there will e pie and ie ream for sale. Until I left home for college, I thought you could only cut cheese with a wired utensil; and I seldom tasted butter. Velveeta and margarine were the staples around my house, as well as this orange flavored powdered drink. For this week’s “Remember When” question, what was the name of the drink created in 1959 but didn’t become popular until it was used by John Glenn in the early manned space flights? E-mail your answer to mcseniorcenter@gmail.com, call 541-296-4788 or drop it off with a box of Pop Rocks and a container of Cool Whip. Well, it’s been another week, working my way towards imperfection. Until we meet again, when everything seems overwhelming, stop, take a deep belly breath and remember - all things shall pass. But there is good news. Atul Gawande also highlights the research of Laura Carnesten a professor of psychology at Stanford University. Her work has shown as we acknowledge our own mortality, it changes our perspective on life. She has found when people feel they will live forever, or too busy to consider their eventual fate, they seek new friends and relationships, try new experiences, and take chances. Because if it doesn’t work out, well, there is always tomorrow. But when people realize that death is an eventuality they can’t escape, it is in our genes, their perspective changes. People start to see their priorities more clearly, take less notice of trivial matters, are more appreciative, and live more in the “now”. Life gets better and they are happier. And isn’t that ironic? As we ride this downward trajectory of aging, we generally are happier. What was thought to be so important during the “productive” years is no longer, while friendships and living in the present are. It is like seeing the world with sharper glasses and thinking, wow, even with all the challenges of personal losses and physical ailments, life is pretty good. If you want to discuss more about how our outlook on life changes as we age, join me for the 11:00 Tuesday Lecture at the Center on December 9th when we will watch a video presentations by both Laura Carstensen and Atul Gawande. Since the Center’s Saturday Breakfasts took a hiatus for several months, I wanted to give you an early notice that Saturday Breakfast will be back on December 22nd for the traditional Christmas Breakfast sponsored once again by The Springs at Mill Creek. You can enjoy a traditional breakfast of pancakes, bacon and scrambled eggs, and we’ll see whether Santa makes an appearance this year. The Center quilters have been creating beautiful quilts in support of the Center since the mid-80’s raising thousands of dollars. But you may not know that the Center quilters can also be hired to repair worn or unfinished quilts if you have that special quilt you want mended. You can find the quilters downstairs at the Center every Monday from 10:00 to 3:00 where they still patiently hand stitch their quilts. And this month you can purchase raffle tickets for two of their quilts which are on display at the Center. It’s been a while since I have tried to scramble your grey cells by mixing up the Center’s music announcement. See what you can decipher this week. Fro teh Centre’s Tsuedya Ngiht msiuc no Demcereb 9th, Mriatn and Frindes will eb prefmriong. Adn unlses teh swno flals or teh rain zfreees, the msicu strsat ta 7:00 nad is oerv by 9:00. Eveyreno is wolecme and dionosatn aer aywlas apatpicred. This week’s “Remember When question is not a quote or of local significance, but a multiple choice question about the good old days. In 2013 the median family income was $51,939. What was the median family income fifty years ago in 1964? (a) Between $5,000 and $7,000, (b) between $7,000 and $9,000, or (c) between $9,000 and $11,000. E-mail your answer to mcseniorcenter@gmail.com, call 541-296-4788 or mail it with a roll of u-lick-em 5 cent postage stamps and a gallon of 30 cent gas. Well, it’s been another week, trying to find my way back in the dark. Until we meet again, as Roger Rosenblatt wrote in his book Rules for Aging, “Just because the person criticized you is an idiot, doesn’t make him wrong”. With Thanksgiving becoming another shopping holiday: Black Friday morphing into Black Thursday, I have begun to appreciate the perspective that comes from having lived these many years. I no longer feel I need to participate in the mad rush of finding the best deals of the pre-pre-holiday sales – although I really could use some tube socks! Instead I have found the tide has shifted and instead of wanting more stuff, I’m trying to give away what I don’t need – and there is plenty of it. I have also learned to appreciate all of life’s little things: those special nights when I don’t have to get up at 3:00 in the morning, or when that I was wearing a long sweater when I forgot to “zip up”. I’m thankful my best friend, who can be real difficult at times, hasn’t divorced me yet. And I am particularly grateful to be alive and kicking providing so many opportunities to laugh at my own imperfections. When I take the time to appreciate and savor every moment of each day, knowing that in a flash my life could turn upside down, I have found I don’t really need anymore “things”. As long as I have friends and family, a roof over my head and food in the cupboard, I’m doing just fine. I hope you have found all you really need and I wish you a warm and wonderful Thanksgiving. During the winter months of early sunsets and cold temperatures, the Center is adjusting the winter hours for Saturday Night Bingo. Beginning December 6th Saturday Night Bingo will start two hours earlier at 4:00 PM and the doors will open at 2:00 for the early birds. The Thursday Night Bingo will continue at their regular time of 6:00 PM. Most of you should have received a mailing asking you to become a member of the Mid-Columbia Senior Center. Now I know many of you may have been “confused” by such a request because, to paraphrase Bernard Baruch, you are at least fifteen years from being “old”. But while you may not be “old”, and even though you haven’t been “new” for some time, we still would like you to become a member. By joining the Center you are contributing to the health of the whole community, because while the center’s focus is supporting older adults, the Center is really a community center - open five and often six days a week. There are no age restrictions for any of the activities including the medical equipment loan closet, AARP Tax Aide, Tuesday Night Music, Bingo or any of the classes. So whether you are old, new or someplace in between, please consider becoming a member today. After the Thanksgiving holiday, don’t forget the Habitat for Humanity’s Annual Christmas Bazaar on December 6th from 10:00 – 2:00 PM in the basement of the United Church of Christ Congregational Church. There will be local craft vendors, but even better, there will be delicious baked-goods for sale and their world famous homemade soup lunch. For the Center’s Tuesday Night music on December 2nd, Andre, K.C. and Tom will be performing. Everyone is welcome and donations are appreciate to feed the band and keep the heat on. The inspiration for this week’s “Remember When” question, came from a friend of mine who named her new pup after this actress, comedienne and musical performer. Who starred in several movie musicals including Nellie in South Pacific as well as starred in several of her own television specials in the 60’s and 70’s? E-mail your answer to mcseniorcenter@gmail.com, call 541-296-4788 or mail with the lyrics to “I’m’ Going to Wash That Man Right Outa My Hair”. Well, it’s been another week, thankful that the rain was not snow. Until we meet again, as overheard at the Center, “There is no shame in being old, but it can be a real bother”. I have come to realize that it isn’t my memory I should be worrying about. I haven’t forgotten my social security number or the combination to my locker. I still know where I live. And give me five minutes and ten deep breathes and I can remember most anyone’s name. But now I find myself more easily distracted. I can be walking to another room to find a book and along the way I see the cat throwing up (which is pretty disgusting) and I forget what I was looking for. And when I’m distracted and not paying attention, who knows what I‘m doing. I use to be able to put the cheese away in the refrigerator while discussing some important topic with my wife – no problem. But now I find the cheese in the freezer! And I’m wondering how it got there. But apparently, I am not the only one. Research has shown that as we get older, starting as early as thirty, we are more easily distracted. That’s one reason why for most of us, it becomes more difficult to drive on busy and unfamiliar streets with all the new distracting sights and sounds. So I am continually learning to slow down and pay attention. That way I can both appreciate the moment - and avoid any more embarrassing situations. Now if I can just find my pen. The craft fairs and bazaars have begun. And the granddaddy of them all, the St. Peter’s Holiday Bazaar, will be held on November 22nd from 9:00 – 4:00 at the St. Mary’s Academy. And on the same day, the Center will be holding its first winter bazaar from 9:00 – 3:00. Call the Center to rent a table and if you are a Center member a table is free. So whether after or before the St. Peter’s Holiday Bazaar, stop by the Center to start you holiday shopping. After Thanksgiving, on December 6th, Habitat for Humanity will be holding their Annual Christmas Bazaar (with their famous selection of delicious soups), downstairs at the United Congregational Church from 10:00 – 2:00 PM. And if you are interested in displaying your crafts and wares, call Becky Bailey at 541-980-9015. On Tuesday the 18th, Truman will be playing his Country Gold at the Center from 7:00 to 9:00 PM. Everyone is welcome and donations are appreciated. Back by popular demand, Mosier Voices from the Past will be performed at the Mosier School on November 15. 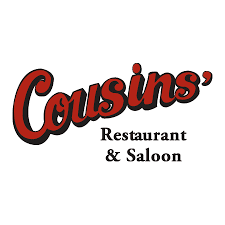 You will see eight direct descendants become their ancestors telling stories from the early days of Mosier. Tickets are $10 for general admission and $20 for VIP Seats which includes a drink at the Rack & Cloth. The show starts at 7:00, but make sure you arrive early because the doors will be closed at 7:00 for filming. Find more information at www.Mosier100Year.com. I would ask another “Remember When” question about The Dalles but having moved here in 1979, I’m still just a newcomer. But if you have any memories of The Dalles in the 60’s and 70’s that I could use, send them my way. But for this week, what was the name of the television variety show aired on CBS-TV from 1969–1971 (before going into syndication) and featured country music and humor from the fictional rural Kornfield Kounty? E-mail your answer to mcseniorcenter@gmail.com, call 541-296-4788 or drop it off with a greasy hamburger from Lulu’s Truck Stop. Well, it’s been another week, waiting to see what surprises the cold weather brings. Until we meet again, it’s been said “Sometimes the wrong train will get you to the right station”. You receive a call from your grandson. He is in trouble in a foreign country and he needs your help, now! He sounds desperate and you want to help, so you send him a Western Union money order. And you never hear from him again or see your money. You have probably heard of this scam known as the “Grandparent Scam”. It has been around for years and is just one variation of the imposter scams that deceive thousands of folks every year. And as I learned from The Dalles Police Chief Jay Waterbury, who just last Friday received a call from a person who had lost $1500 from such a scam, it can happen in The Dalles. But there are several things you should do if you ever receive such a call. Don’t unknowing provided important information by the way you answer the call. For example, if the caller states, "It's your granddaughter." Don’t reveal your granddaughter’s name. Reply by asking which one and most likely they will then hang up. Always be skeptical. Ask questions only the grandchild would know. Get in touch with your grandchild or check with family members to confirm their location. Do whatever you can to confirm the information you were told. Never send money unless you have verified that your relative is really in trouble. If a caller asks for your bank account number or urges you to send money via Western Union or MoneyGram there is an excellent chance the call is a scam. Unfortunately if you are a victim of such a scam, as Jay Waterbury can tell you, there is very little the local law enforcement agencies can do. Even so you should immediately report such incidents to local law enforcement agencies and the state Attorney General’s Office. Meals-on-Wheels will be closed on Monday instead of the 11th so their dedicated staff can have a day off. And on Veterans Day, in honor of the Veterans who served our country, dinner will be free for everyone sixty and over. Dinner will be served at noon and will include turkey and dressing, green bean casserole, buttered roll, carrot salad and pumpkin pie. If you agree with the German philosopher Friedrich Nietzsche who wrote "We should consider every day lost on which we have not danced at least once." you will want to make sure your next Tuesday is not lost by dancing to the music of Martin and Friends at the Center from 7:00 – 9:00 PM. Everyone is welcome and donations are appreciated. And one last reminder for NW vocalist Nehemiah Brown’s last 2014 performance at the Center on Friday night November 7th. Thanks to the sponsorship by Flagstone Senior Living the cost is still only $3.00 per person. Music starts at 7:00 and ends by 9:00. At the Tuesday Lecture on the 11th, you will have a chance to take an eighteen minute trip through the history of the universe – all 13.8 billion years! I will be showing a fascinating video presentation by David Christian called “Big History” which “examines our past, explains our present, and imagines our future”. Since today is Election Day, this week’s “Remember When” is about Oregon politics. Who served as a U.S. Senator from Oregon for 30 years during which time he was a Republican, Independent and Democrat and whose motto was “principles above politics”? E-mail your answer to mcseniorcenter@gmail.com, call 541-296-4788 or drop it off with a copy of the Gulf of Tonkin Resolution. Well, it’s been another week trying to keep all my marbles which seems more difficult every day. Until we meet again, and after finishing yet another bitter election season, it might be timely to remember “Everyone has a piece of the truth”.